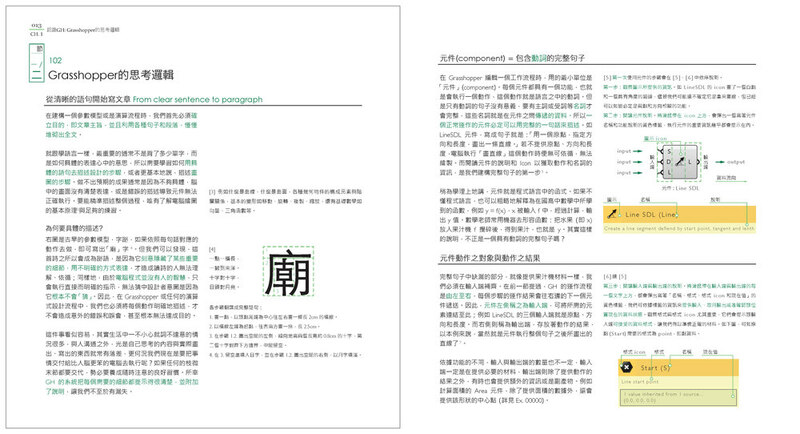 I was invited to write a tutorial book for Grasshopper by the branch office of Rhinoceros in Taiwan. Grasshopper is a graphic algorithm editor designed for designer and engineers who are not familiar with traditional coding tools. 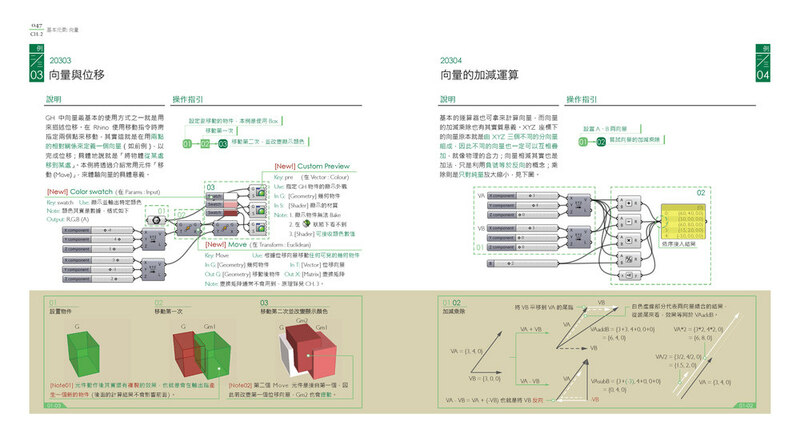 In the beginning, I introduced a brief history and basic concepts of parametric, algorithmic, and generative design. For designers in different fields and ages, I try to use a simple analogy such as Chinese word riddles or cooking recipe to make this concept easier. From the first chapter, readers can understand essential knowledge and build a sequential way of thinking. 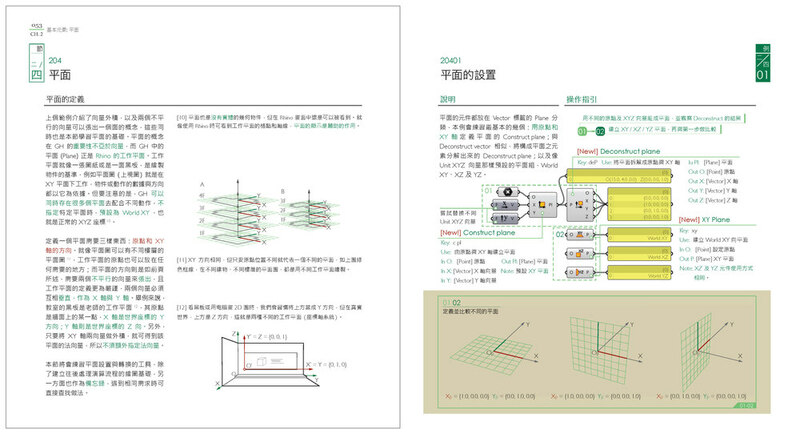 Having a clear perspective of geometry and data structure are both very important. I try to create a gradual learning process and avoid over-complicated math calculations but provide intuitive methods in clear diagrams. 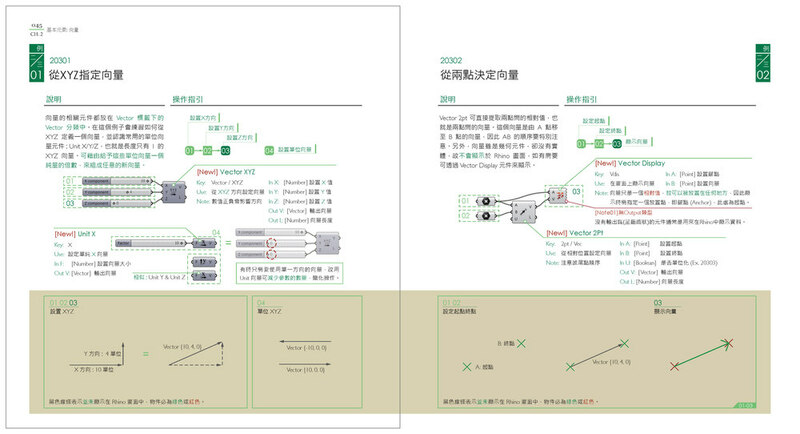 Each example has a simplified sequence which is represented in three different ways: text, GH components, and preview images. 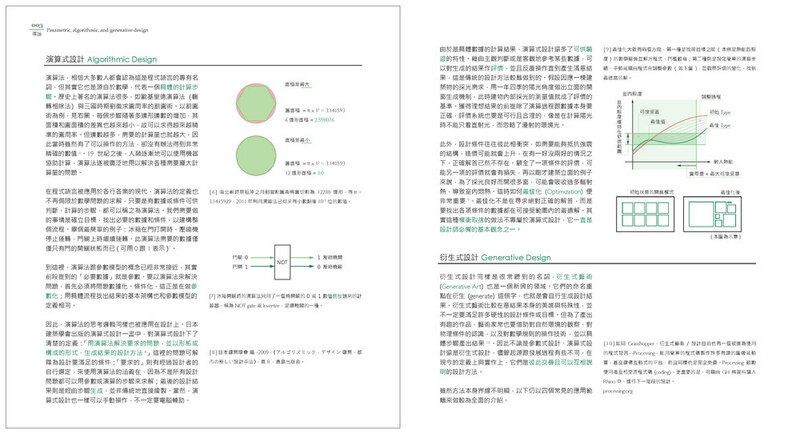 The information on the pages are detailed and correlated so that readers could use this book in different situations.